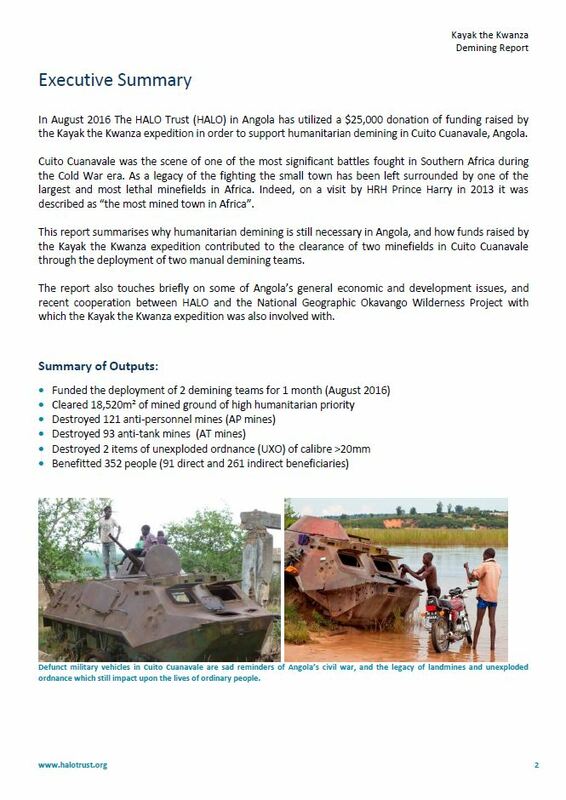 In June and July 2016 we kayaked Angola’s River Kwanza, raising over $25,000 for The HALO Trust’s demining work in Angola. Below is a link to the newly released report detailing what the donations were spent on. It is a 17 page PDF, complete with photos. If you do not have time to read the whole thing, here is the Executive Summary.